On the south western side of Blackheath, past the tiny hamlet of Shipley, are two lesser known but nevertheless equally spectacular lookouts – Hargraves Lookout and Mount Blackheath Lookout. To get to Shipley from Blackheath, cross the railway line at the traffic lights and head towards Megalong Valley where you will turn into Shipley Road. You will drive through lovely mountain landscapes with beautiful apple orchards, gum trees and lush foilage on the way to the Shipley Plateau, passing by the Shipley Gallery showcasing local artists (open weekends 10am- 4pm) on the left just before arriving at a fork in the road. If you continue on the left fork, the road gradually ascends and eventually becomes gravel for the last kilometre before arriving at the parking area for the Hargraves Lookout. 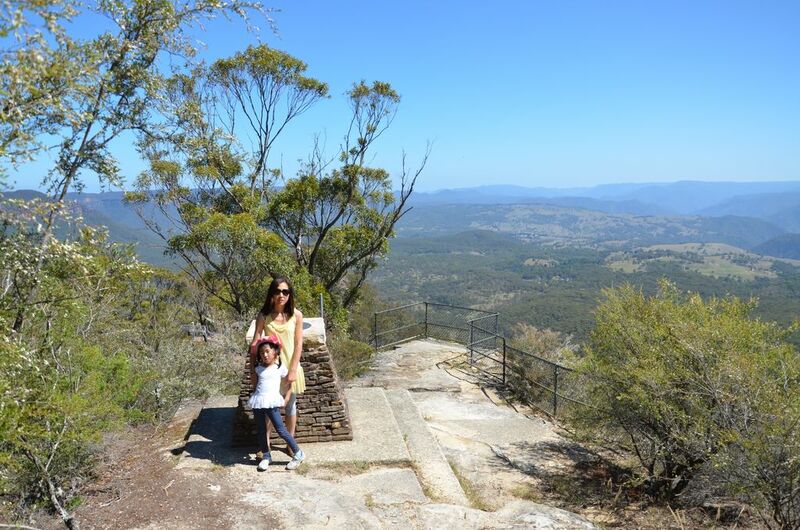 This lookout is located on the south-easterly limit of the Shipley Plateau, overlooking the beautiful Megalong Valley. It is named in honour of William Henry Hargraves (1839-1925), Deputy Registrar in Equity and once known as the father of Blackheath. He purchased the Scotch Thistle Inn, Blackeath in 1878 and owned other land in the village in the 1880s. This lookout was officially opened on 17 March 1915 by the councillors of the Blue Mountains Shire. If you turn right at the fork, this continues onto Mount Blackheath Road. Right at the very end of Shipley Plateau on this road is Mount Blackheath which offers excellent views of the Kanimbla Valley. There are picnic tables and near the lookout is a 1076-metre high ramp built for hang gliding. When the weather is right, you might be fortunate to see colourful hang gliders and parasails riding the thermals after launching from this popular site.